In 2014 Lubrita International started its operation in Indian market. PMM Ltd. has entered into 50:50 JV with its Indian Partner -Sankalp Lubricants Pvt Limited, a company under Sankalp Group . The JV Comapny Lubrita India Private Limited has equal shareholding of both promoting companies. Lubrita India will trademark Lubrita brand of products in India and other neighbouring countries such as Bangladesh, Srilanka and Nepal. Lubrita International provides a comprehensive selection of high-quality automotive oils, industrial oils, lubricants and greases, manufactured for todays markets. It offers more than 500 formulations for different requirements & applications. The production facilities for lubricants, close to Rotterdam, the Netherlands, with close proximity to the sea port, are massive with very large holding capacities. The independent company Lubrita is also a leading lubricating grease supplier, with production sites in Sweden, Netherlands, France and the USA. Lubrita manufactured over 30 000 tons of lubricating greases, based on more than 200 different product formulations. In its press release MD of Lubrita International Mr. Martynas Markevicius said: “Decision to address India and its neghbouring country with JV operation is important, as company will benefit with Lubrita International bringing its world class technology, and its Indian partner which will provide very critical local inputs to cater to the diversified needs of customer. India is the tenth largest economy (GDP Millions of US$ 1,875,213) in the world by nominal GDP. India is also the third biggest Lubricant market after the United States and China, India is one of the most important markets, which necessitates a special focus from Lubrita International, not only in terms of investment, but more so to address the Indian customers desire to adapt the high European standards of product quality & services, to address the diverse local issues of environment, road conditions & usages, simulatenously“. Mr. S K Singh, Managing Director of the JV company, Lubrita India Private Limited, adds that “..the journey in Indian market will addtionally bring a strong positive impact on other Asian markets where Lubrita is not yet present. It is important for the company to address market like India with right stratgey, where local conditionsblend with right technology to bring best products and services to its customers“. 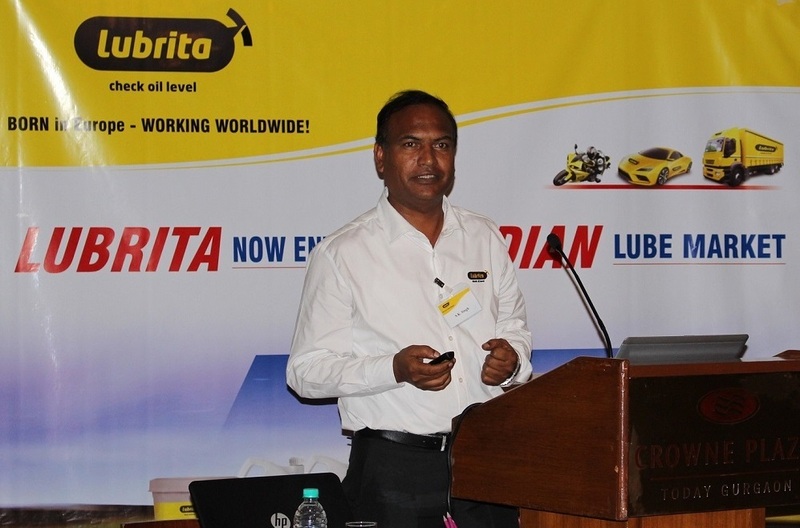 Lubrita began its journey by blending its first production on 6th oct 2014 at its Mumbai plant and had held Lubrita products launch meet at Crown Plaza hotel, Gurgaon, NCR Delhi in front of customers, industry experts and press. Lubrita India begins its journey in India from here.